Belanger Engineering is a firm of Building Science Engineers that was established in 1995 to serve the needs of Condominium Corporations and Building Owners. We provide our clients with consulting services to aid them in the evaluation, repair and maintenance of their buildings and properties. Paul Belanger, the Founder and President of Belanger Engineering, has over 25 years experience in the investigation and repair of residential, commercial and industrial buildings. 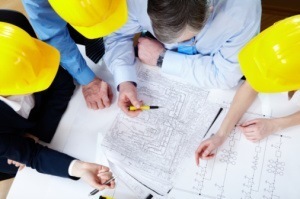 We are a team of Building Science Engineers involved with building repair and performance improvement. Our experience with structural, mechanical and electrical engineering involves both new and restorative construction. Our team will present options and recommendations for appropriate programs that consider the objectives of building owners and management. Recommendations are made to serve the client’s best interests with regard to property management and budget constraints. As a property manager or building owner, you need to know that you are dealing with people who have the experience and qualifications to do the type of job you want, and to do it right. At Belanger Engineering, you can rest assured that every assignment we undertake will be handled with the expertise that you would expect from professionals. So before you do anything, talk to the professionals at Belanger Engineering. Where you only get the best!